I have recently upgraded to Ubuntu 11.10 with GNOME Shell. Everything is okay except the scroll bar, especially in Firefox. It's very, very tiny, especially in long pages! Also, I don't know why there is a very small gap between scroll bar and border of screen so I can't click on scroll bar without seeing it . One can tweak the scrollbars of Firefox assuming that the overlay scrollbars aren't being used. 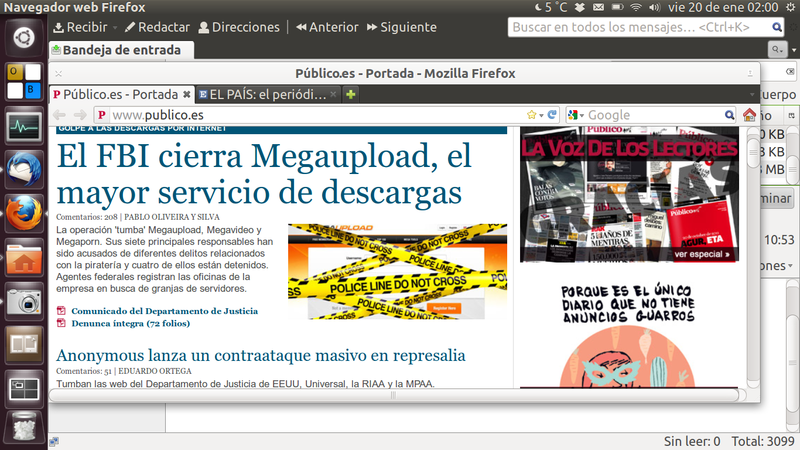 Unfortunately,if I understand correctly, scrollbars (in Firefox) are "anonymous content". That means one can't tweak them using userChrome.css or userContent.css. 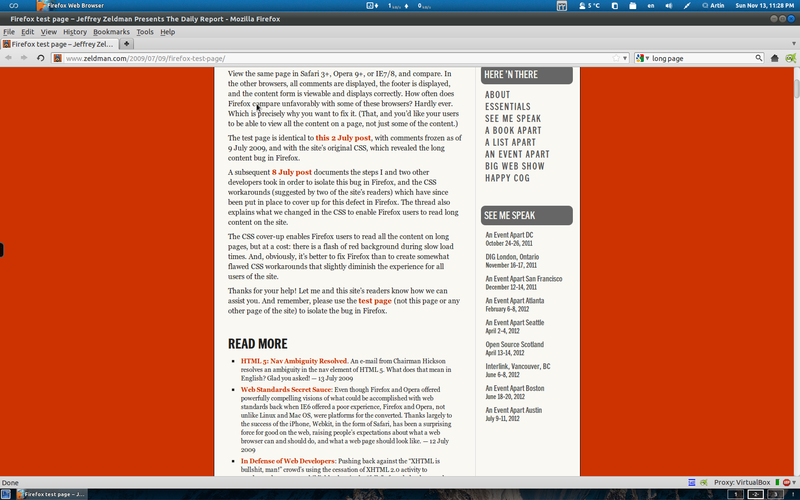 To tweak scrollbars, I use the Stylish extension for Firefox. If you go over to the forum for that extension and look around, you'll find more parameters to tweak. As already pointed out, the length of the vertical scrollbar is usually a function of the length of the web page. There maybe a way to set a minimum length but I haven't looked for that. I think the problem is not with the scrollbar, but rather with with the web page itself. Regardless, I was hoping that you might be able to change the min size of the scroll bar by using a custom userChrome.css file, but apparently not. After some reading, it appears that the only way to deal with the problem might be to use a different theme. to /usr/share/themes/Ambiance/gtk-2.0/gtkrc to remove the ugly arrows in firefox and thunderbird. Not the answer you're looking for? Browse other questions tagged 11.10 firefox gnome scrollbar or ask your own question. Why doesn't Chrome or Firefox auto-highlight the address bar?